July 8, 2014 – Campaign contribution reports released today by Scotland’s Electoral Commission show William Grant & Sons has invested more to support the anti-independence movement than first reported. The distiller has donated £185,000 ($316,442 USD) to groups opposing Scottish independence in the September 18 referendum, with £135,000 to Better Together and £25,000 each to Angus MacDonald and the No Borders Campaign. Sunday, the BBC and other news organizations reported Grant’s had donated at least £100,000, based on preliminary information. The company is owned by members of the Grant-Gordon family, and has not commented publicly other than a statement released Sunday in which it said it supports the Scotch Whisky Association’s position that the industry could be hurt by independence. 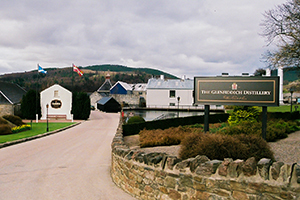 Grant’s was the only whisky company reported as having donated to either side in the referendum, while the SWA has officially remained neutral – while expressing concerns that significant questions need to be answered by the Scottish National Party-led pro-independence campaign on trade and taxation issues. Former SWA chief executive Gavin Hewitt told Channel 4 in a “Dispatches” documentary interview aired Monday night that the trade group was pressured by SNP leaders to stay on the sidelines in the independence referendum. Hewitt, who retired at the end of December, has spoken out strongly against the referendum since leaving the SWA and told Channel 4 that he and his staff had at least six meetings with the SNP’s Angus Robertson, who represents the Moray district in Parliament. Robertson strongly denied the accusation. He and Richard Lochhead, who represents the district in the Scottish Parliament and serves as Scotland’s Rural Affairs Minister in the SNP-led Edinburgh government, have held a series of meetings with industry executives in recent months to discuss the potential for increasing whisky-related tourism in Speyside. The meetings were private, and it is not known whether the referendum was on the agenda for discussion – or discussed privately.